Enjoy urban downtown living at this lovely private residence at Howelsen Place. 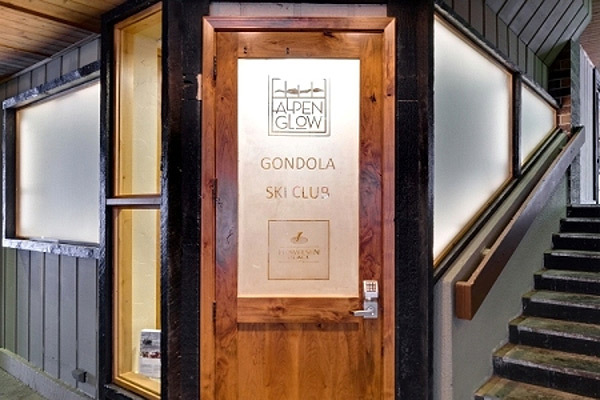 The western décor and modern finishes combine with warm wood accents and mountain scenery to offer a excellent lodging choice in downtown Steamboat Springs. Located on the top floor, at the end of the hallway, this property offers privacy, Howelsen Hill views, and spectacular sunsets. As soon as you enter the residence, you’ll be impressed by the large windows boasting lovely light and views. The open concept living space is an entertainer’s delight, large kitchen with quartz countertops, stainless steel appliances and glass mosaic backsplash. The dining space can accommodate four people at the dining table and with additional seating for three at the kitchen counter. The living area boasts a large flat screen TV, gas-burning fireplace with dramatic steel tiles, and plush leather seating. The private deck is accessed from the living room, and this outdoor space enjoys outdoor seating and great views of downtown Steamboat, Howelsen Hill and the Yampa River. The well-appointed master suite has a king bed, large wall mounted flat screen TV, direct access to the deck, and a stunning master bathroom with deep soaker tub, shower and double vanity. The second bedroom has a queen size bed, a wall mounted flat screen TV, and an attached bathroom that is also accessible from the living room. This property also features a washer and dryer in the residence, heated underground parking for one vehicle, and air conditioning during the summer months. Calculate rates, confirm dates and book H307B - Howelsen Place online. There is a $140 cleaning surcharge (plus tax) added to all stays at this property.